Aristotelis "Telly" Savalas (January 21, 1922–January 22, 1994) was an actor best known for his title role in the 1970s Kojak TV series. He earned an Emmy Award for his part in the show. He also had a successful movie career earning an Academy Award nomination for Birdman of Alcatraz in 1962. Famous Quote: "We're all born bald, baby." As the second of five children born to Greek immigrants Nick and Christina Savalas, Telly Savalas sold newspapers and shined shoes along with his brother Gus to help support the family. When first entering elementary school, Telly only spoke Greek, but he soon learned English. He graduated from high school in Floral Park, New York in 1940. Telly Savalas served three years in the United States Army during World War II and earned a Purple Heart. After returning home, he studied at Columbia University. During the war, Savalas studied radio and television production. He put that education to use in the 1950s working for Voice of America where he eventually hosted his own talk show Telly's Coffee Shop. 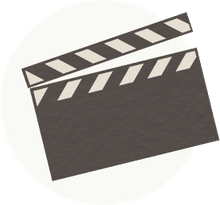 In the early 1950s, a Hollywood agent looking for an actor with a French accent called Voice of America, and Telly Savalas answered the phone and faked a French accent. He received the job. The show was called "And Bring Home a Baby," an episode of Armstrong Circle Theatre on CBS in 1958. Savalas appeared as a guest star in multiple TV series until he landed a regular part on the 1961 TV series Acapulco. Telly Savalas appeared in his first movie Mad Dog Coll in 1961. His work impressed Burt Lancaster who secured Savalas a role in The Young Savages. Young Telly was in demand as a character actor. In 1962, he earned an Academy Award nomination for Best Supporting Actor for his role in Birdman of Alcatraz also starring Burt Lancaster. Savalas appeared in the successful medical drama The Interns and its sequel The New Interns. In 1965, Telly Savalas shaved his head to appear as Pontius Pilate in The Greatest Story Ever Told. He stayed bald for the rest of his life, and it became a signature part of his appearance as an actor. One of Savalas's most memorable film roles came in 1967 when he appeared in The Dirty Dozen in a role turned down by Jack Palance. After portraying the villain Blofeld in the 1969 James Bond thriller On Her Majesty's Secret Service, Savalas received second billing to Clint Eastwood in Kelly's Heroes and Charles Bronson in Violent City in 1970. Telly Savalas first appeared as Police Detective Lt. Theo Kojak in the spring 1973 TV movie The Marcus-Nelson Murders. CBS turned the film into a regular series in the fall of 1973. 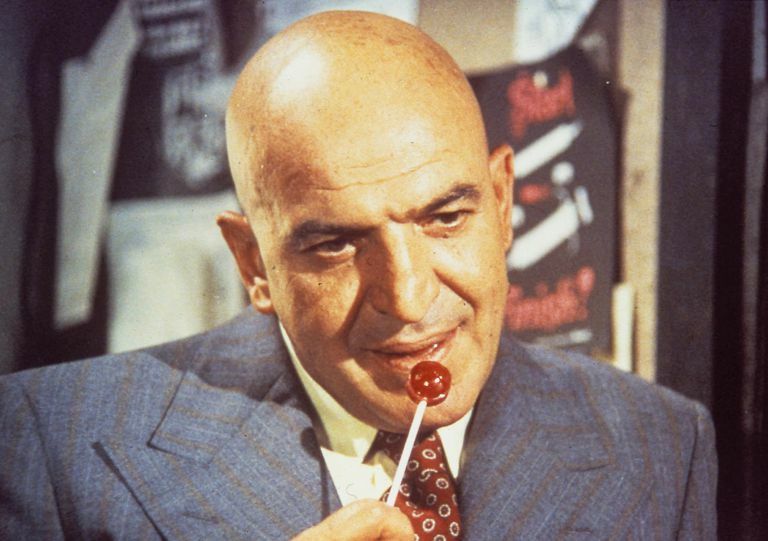 Detective Kojak was known for enjoying lollipops and his tagline, "Who loves ya, baby?" The show was a Nielsen rating success ranking in the top 10 for its first season and remaining in the top 20 for two more seasons. CBS canceled the series after five seasons but revived it for seven TV movies from 1985 through 1990. Telly Savalas earned Emmy Award nominations for Outstanding Lead Actor in a Drama Series for his role on Kojak. He won in 1974. While the series ran, Savalas continued to occasionally appear in movies. After the show's cancellation, he played mostly cameo and supporting roles in films and TV series. Telly Savalas married three times. He wed his first wife, his college sweetheart Katherine Nicolaides, in 1948. Their daughter Christina was born in 1950. After a 1957 divorce, he married Marilyn Garden, a theater instructor, in 1960. Together, they had two daughters, Penelope and Candace. Following a long separation, they divorced in 1974. Savalas began a relationship with actress Sally Adams in 1969. Though they never married, she adopted the name Sally Savalas and gave birth to their son Nicholas in 1973. They ended their relationship in 1978, and Sally sued Telly Savalas for financial support in 1980. In 1984, Telly Savalas married travel agent Julie Hovland. They had two children, son Christian and daughter Ariana. They remained married for the rest of Savalas's life. In addition to his acting career, Savalas found success with a spoken-word record of the song "If" originally recorded by the pop group Bread. It reached #1 on the pop charts in the U.K. in 1975. He was also a world-class poker player and owned the successful racehorse Telly's Pop. In 1988, Telly Savalas received a diagnosis of bladder cancer. He died on January 22, 1994, due to complications of bladder and prostate cancer. He is buried in Los Angeles, California.